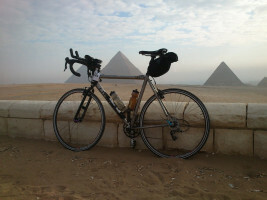 Why Bike From Cairo To Cape Town? What do you get if you cross the whole of Africa by bike? 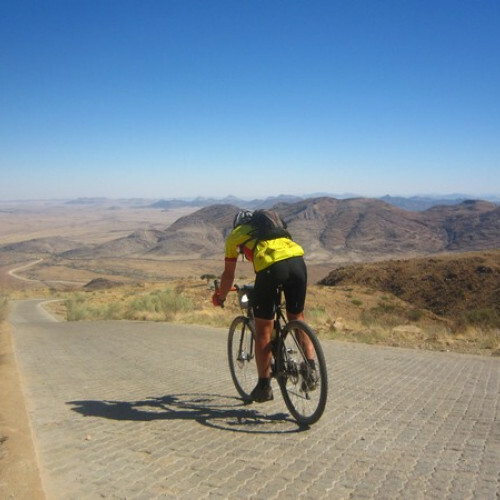 You get to say that you’ve crossed the whole of Africa by bike! Frankly, that sounds like the best Facebook status update ever. Meanwhile, your neighbour just posed about how they crossed town to get some takeaway. You’re winning. But we digress, there are better reasons than boasting to enroll in the Tour d’Afrique. What Could Possibly Be Better Than Bragging Rights? There’s the overwhelming sense of personal accomplishment that will glow inside you after you’ve covered almost 12,000 kilometers in four months, travelled through a whopping 10 countries, and conquered countless challenges along the way. And then there’s the impossible beauty of the whole trip. On a bike, you’ll cover ground and see sights that regular travellers would never see. Imagine setting out from the Pyramids in Egypt along the Nile, through the biblical landscapes of Sudan and Ethiopia, crossing the Dida Galgalu desert on the notorious lava rock road, spotting wildlife during a 3 day Serengeti safari in Tanzania, and being awed by the rush of Victoria Falls. When the tour finally reaches Cape Town, South Africa, you’ll have seen and experienced more than many would in a lifetime. A trans-continental journey is not for the faint of heart. But since you’ve read this far, we already know you have it in you. So go on — on your bike!